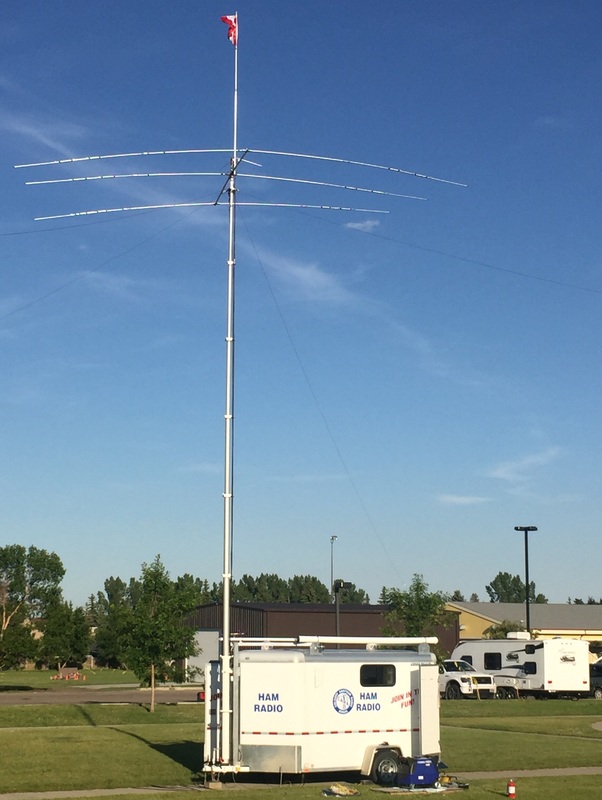 The Calgary Amateur Radio Association has three special interest groups. All CARA members are automatically members of all SIG's, so there are no separate "memberships" as such. Simply show up to a few meetings and the SIG will consider you one of "them". The DX Club encourages all types of activity on HF frequencies; from 1.8 MHz to 30 MHz and point to point long distance operation is also pursued on the VHF and UHF bands. This is "traditional" Ham radio, and at meetings we discuss working DX, QSL cards, contesting, HF mobile radio, antennas, linear amplifiers and all the many things that go into successful HF operation. Our members are involved in SSB, CW, Slow Scan TV, RTTY and other digital modes. 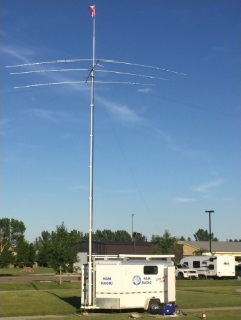 What can be said about the VHF/Digital SIG, besides the fact that they maintain the repeaters and are also responsible for the Digital repeaters (digipeaters) that includes APRS on 144.390 (simplex). They don't seem to realize that 70 cm is actually UHF, so they have repeaters there too! Of course these repeaters are open to all amateur operators in the repeaters service area . They are also used to provide organizational and safety communications requirements for public service events that need this service. No precise definition of "senior" is used by these folks. CARATELS, the seniors group, meets for lunch during the week once a month and have some of the more unusual programmes. CARATELS has become the "fun" group within CARA. With noon-time meetings, most attendees do have grey hair and are, in fact, retired. However, in no way is the group restricted to grey hair and retirees. Don't attend if you don't want to have a good time but, if you are free at noon once a month, come to CARATELS for an inexpensive lunch, some good laughs, interesting programs and plenty of time to eyeball and yak with fellow hams. Normally, meetings are on the first Wednesday of each month. Check out the Events Calendar tab for details and exceptions.